All I want for Christmas is gifts from Brown Sugar and I’ll let you in on a secret…. Brown Sugar’s huge sale starts on the 19th December and VIP members can get their hands on the sale items today and tomorrow before the sale starts on Wednesday. If you can’t decide what to buy, you can always purchase a gift voucher to give that special someone, which are 10% off at the moment! Plus you can still win 100% off your purchase with the Sweet chances scratchie card offer, which runs until the 24th December! Last week I received 40% off my purchase from the offer. Ecoya candle ($29.95). I LOVE candles and the Ecoya candles are probably the longest lasting and the most lovely scented I have tried. For the size, they are reasonably priced as well. Great gift idea for someone who is hard to buy for. I don’t think I have met a female who doesn’t like candles. Border Print scarf (was $49.95, on sale for $34.97) and the Pom Pom scarf (how cute is it?) ($39.95, on sale for $27.97). Either of these I would be happy with. Nothing finishes off an outfit like a scarf does. These would dress up any plain tee or dress. Applique Dress ($99.95, on sale for $89.96) which comes in Red, light blue and black. I’m loving the red, which would be prefect for hot days (like on Sunday, which is supposed to reach 35 Deg C). Dressy but cool at the same time wins bonus points for me. Mantra Pleat Yolk shirt (Was $79.95, one sale for $39.98). How gorgeous are the colours? Wear it lose with shorts or with a belt (above, $29.95) over capris or a skirt. Style plus! Print Maxi ( $169.95, on sale for $152.96). The Print Maxi is fitted around the bust and drops to the floor with pleats around the waist. Probably one of the most flattering maxi dresses I’ve seen. This is one lovely dress and make sure you are ready for all of the compliments you receive while wearing it. 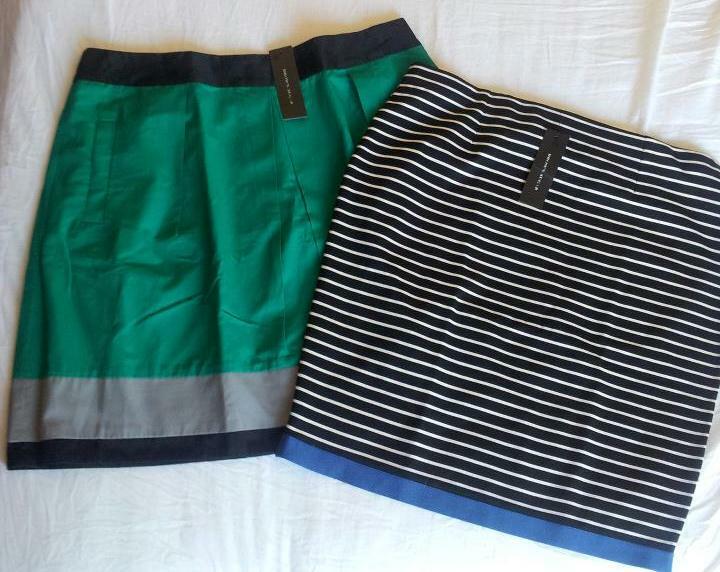 From the last time I posted about what I had bought from Brown Sugar, I have bought two skirts to add to my wardrobe. Love both of these and they were on sale. I especially love the green stripe skirt. I every time spent my half an hour to read this website’s posts every day along with a mug of coffee.